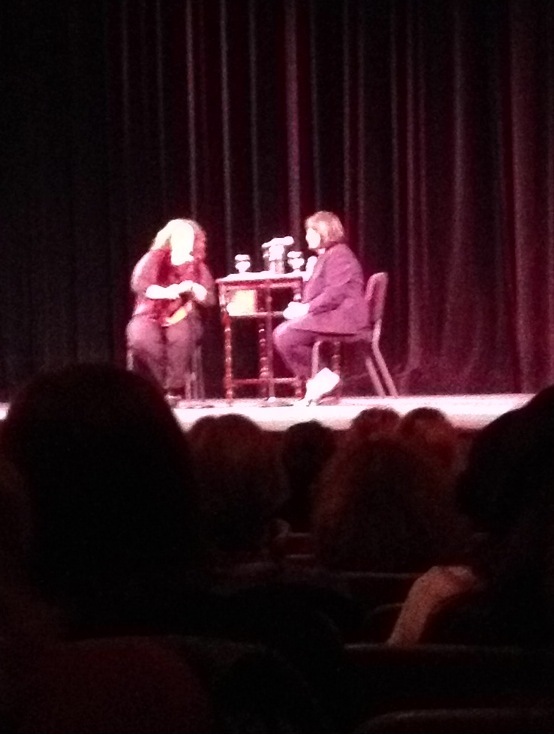 Ina Garten AKA The Barefoot Contessa made an appearance at the Wilshire E-bell last night. a signed copy of Ina’s new cookbook, an intimate interview between her and actress Jennifer Garner, and hopefully learning a couple secrets from the contessa herself. We got to the E-bell and Jen Garn was nowhere in sight. Instead they had a dry radio host who tried to take on the role from the guy on “Inside the Actor’s studio,” interview the adorable Contessa. 1. Her favorite LA restaurant is the steakhouse CUT. 3. She uses ROC Moisturizer to keep her fab complexion. 4. If she had to cook for one person living our dead it would be Julia Child.